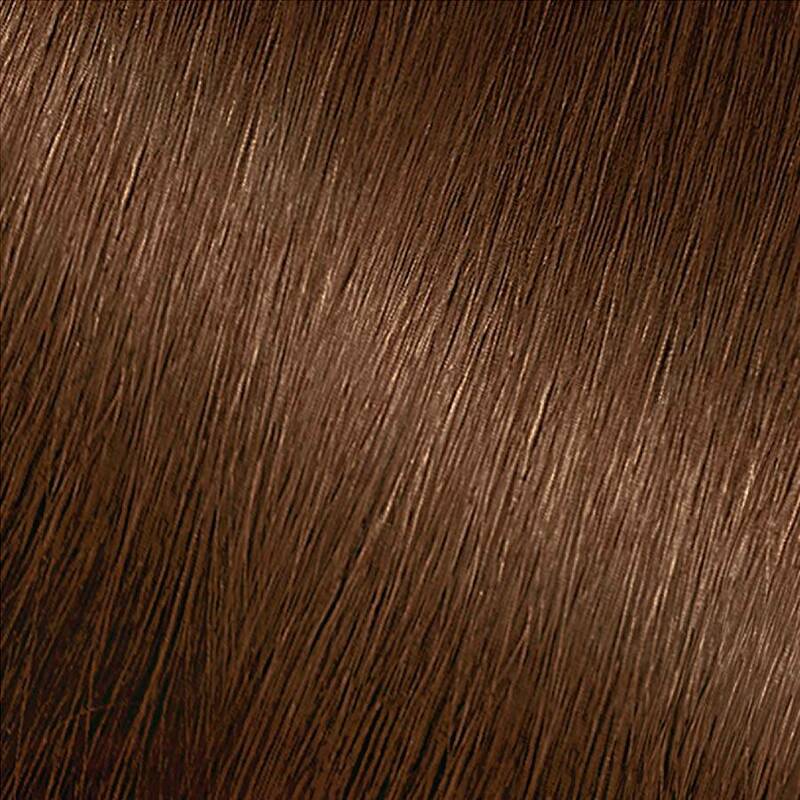 Rated 5 out of 5 by kaylalarson331 from This is a great hair color . It’s not expensive , covers the hair really well and doesn’t smell. Rated 4 out of 5 by brittanyrossddecf77a from This is my go to hair coloring kit in a box if I'm not near a Sally's beauty shop. The color does run in the shower so I always buy a shade darker so that after a week or so it's just the right color. Easy to use and affordable. Can usually find a coupon for this brand. Rated 5 out of 5 by kesliebc22f from I like the line of color! I’ve used several different shades at different times. This line makes my hair feel super soft, just like the salon would, after dying my hair! 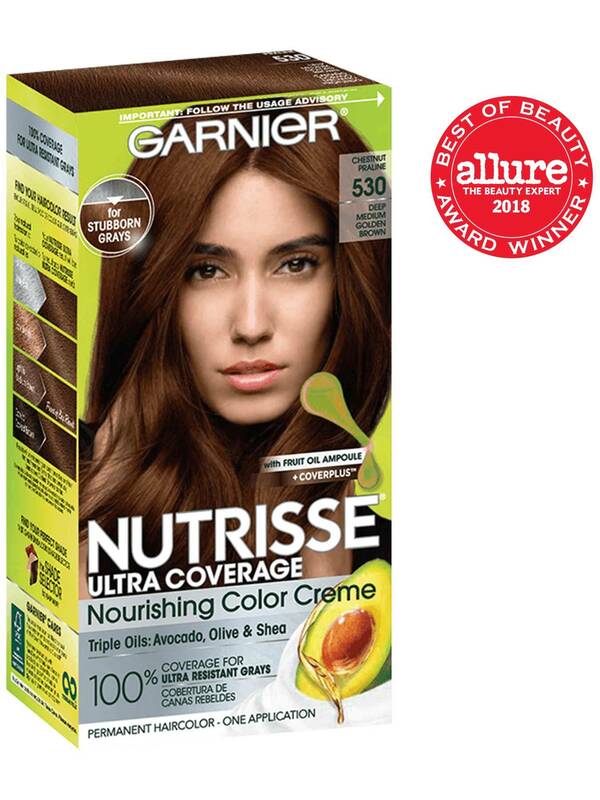 Rated 5 out of 5 by kaichiyu from Garnier Ultra Coverage Nourishing Color Creme 530 - Chestnut Praline I received these products complimentary from Influenster testing purposes. Garnier Ultra Coverage Nourishing Color Creme 530 - Chestnut Praline Usually when I color my hair I have to a little to it because it gets dry after washing and the color doesn’t show that well until it’s completely dry. But not with this! I seen my color results immediately after washing it out and before it was even dry. My hair is naturally curly and I planned of blow drying it straight then changed my mind after seeing my results. Let’s just say I’m in Love! And definitely will be buying this again. I really enjoyed nourishing moisture it gave my hair. Rated 3 out of 5 by marissah27ca from I received this product for free in exchange fro an honest review. Overall this product is only so so. It has some great things, most hair dye I have used smells awful and the scent while dying my hair was barely noticeable. My hair felt so amazingly silky smooth and soft afterwards which is a plus. That being said, I felt this color did not do a great job coloring my hair. I dyed my hair 3 weeks ago and I already need to do it again. I can usually go about 6 weeks with my regular hair-dye. As soon as I rinsed my hair I could tell the coloring on my gray hair was going to be an issue. If you are not trying to cover gray hair I would say this is a great product for you, but for someone like me who has a good deal of gray hair, I’m not sure I would use this product again. Rated 5 out of 5 by dpalomino from Garnier has always been a favorite for at home dying. Love it! And the color is very rich. Rated 4 out of 5 by dana0521 from I got this in a VoxBox for free to review. It actually ended up coming a week too late for me to use (I had just got my hair done), so I ended up doing my mom's hair with it. The color was pretty spot on to what she likes, so that was nice! I also really liked the fact that our bathroom/bedroom didn't smell like chemicals afterwards!! She also really liked how her hair felt and the scent from the conditioner that was provided in the box. The only downside, and why I didn't give it 5 stars, was because even though I made sure to cover all her gray hair with the dye, it didn't seem to cover them all. Maybe next time, we'll use 2 boxes instead of 1.. but overall, it was a very positive experience!